Are you getting “There was a problem starting C:\Windows\System32\LogiLDA.dll” error on your Windows 10 PC? In this guide, we will see how to fix this error. The error “There was a problem starting C:\Windows\System32\LogiLDA.dll. C:\Windows\System32\LogiLDA.dll is not a valid Win32 application.” shows up soon after booting to the desktop. The DLL file LogiLDA.dll belongs to Logitech Download Assistant software which automatically loads with Windows. The Logitech Download Assistant software is automatically installed when you install Logitech Setpoint or other Logitech software for keyboard or mouse. 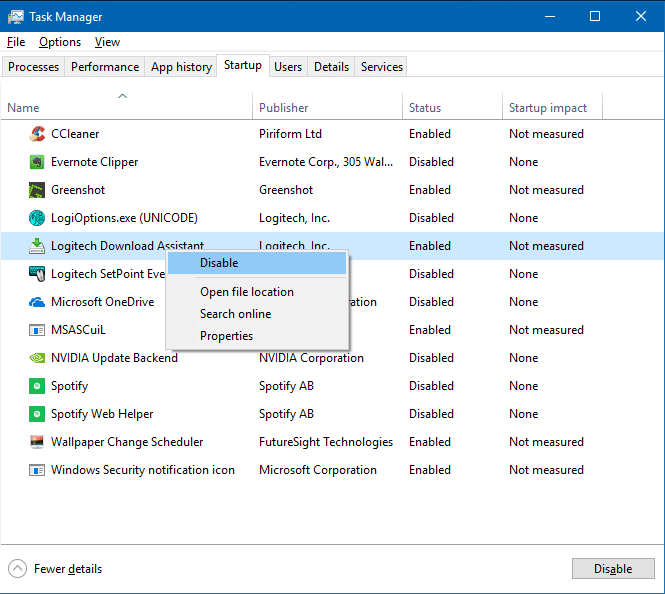 The Logitech Download Assistant is responsible for automatically checking and installing latest Logitech mouse and keyboard drivers on your PC. The error is occurring likely because the software is not compatible with Windows 10 and or the file is corrupted. A quick web search reveals that many users are getting this error after installing a major update for Windows 10. If you are also getting “There was a problem starting C:\Windows\System32\LogiLDA.dll” error, you can try the following solutions to fix the error. Step 1: Open the Task Manager. There are many ways to open the Task Manager. The easiest way is to use Ctrl + Shift + Esc keys. Step 2: Open the full version of the Task Manager by clicking More details. Step 3: Switch to the Startup tab. Right-click on Logitech Download Assistant and click Disable to stop it from loading with Windows. This should fix the error. Please reboot your PC once to make sure that the error is no longer appearing on your PC. 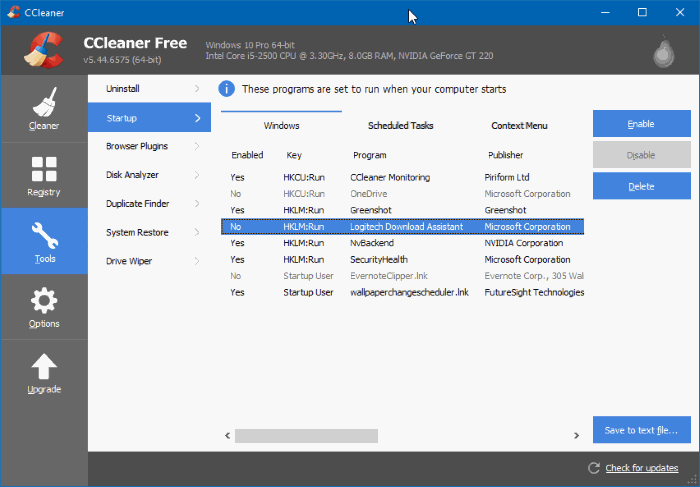 Although we can manually delete Logitech Download Assistant entry from startup, we are using the popular CCleaner free version for the ease of convenience. Step 1: Download CCleaner, install the same, and run it. Step 2: Navigate to Tools > Startup. Select Logitech Download Assistant entry and then click Delete button to remove the entry.